Fort Saskatchewan, AB. - William Joseph Sheppard, age 32, wanted for Criminal Code of Canada Charges such as, Breach of Probation, Uttering Death Threats and Violation of an Emergency Protection Order, has been arrested. After a brief stand-off with Camrose Police Services, Sheppard surrendered to police. Sheppard will remain in custody until he appears in court on these matters. 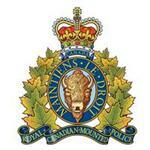 The Fort Saskatchewan RCMP would like to thank the Camrose Police Service, the media and members of the public for their assistance with the peaceful resolution to this matter.